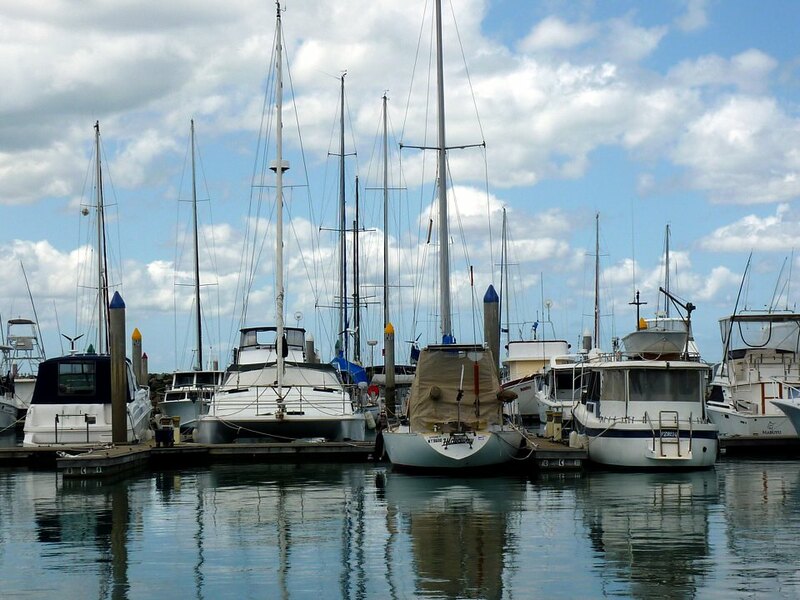 We are on our way north to Agnes Water and 1770 (see post) and we book into Hervey Bay, a town on the Queensland coastline, about halfway there. 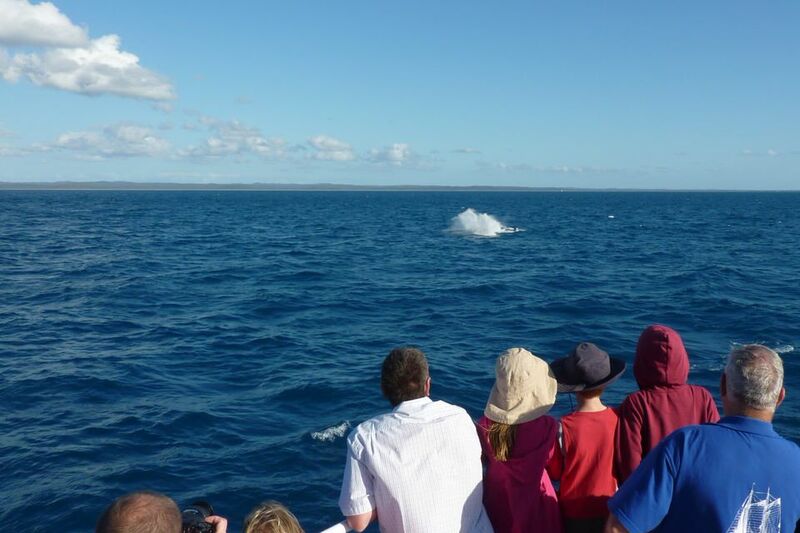 Hervey Bay is known as a great place to go whale watching. The warm calm waters of the bay are enjoyed by whales as a place to frolic along the way of their north/south migration, particularly when momma whales are returning south with their young calves. 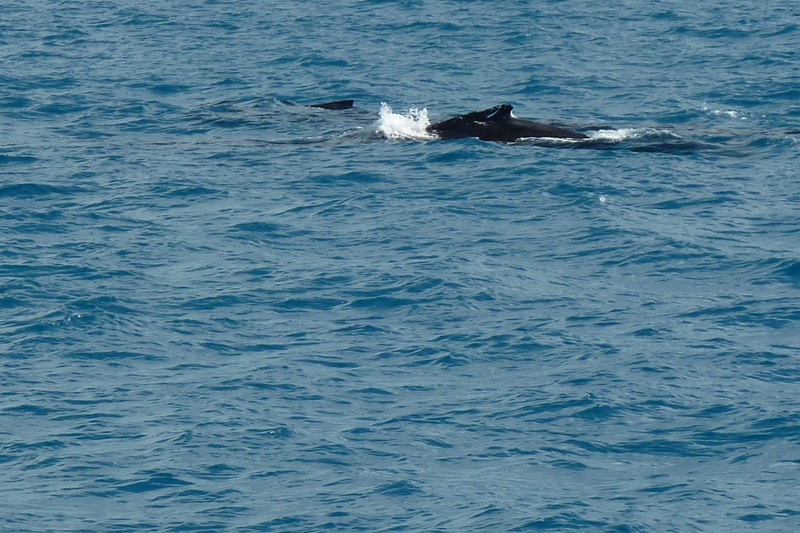 Whales are somewhat gregarious and seem happy to show off for eager boatloads of people. So during 2 seasons a year, people go out on boat tours to get close to the migrating humpback whales. 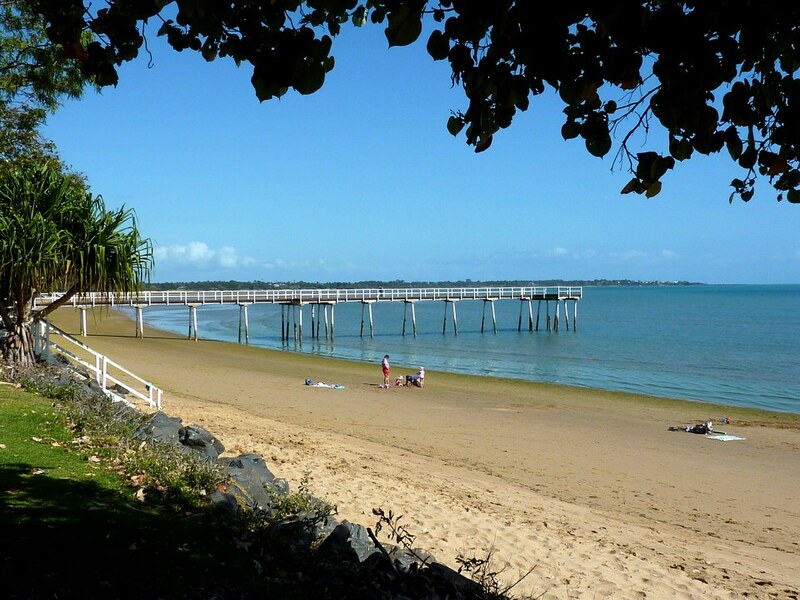 While Hervey Bay was not our favorite place ever, it had the requisite amenities, including a beach to walk along and fish and chip shops galore. 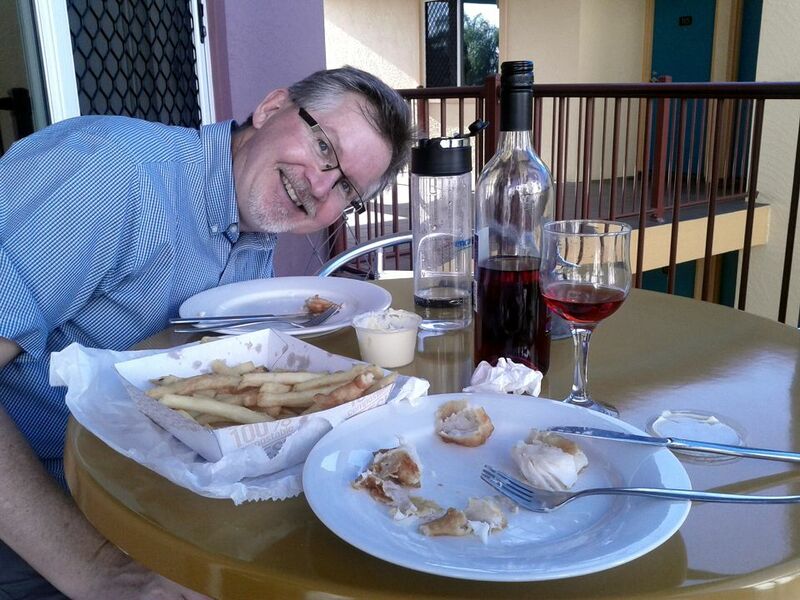 I must say that it would be a sad thing not to eat the ubiquitous fish and chips as much as possible while here in Australia as the fish is most certainly caught fresh that day and a generous portion is served up with lots of delicious chips. 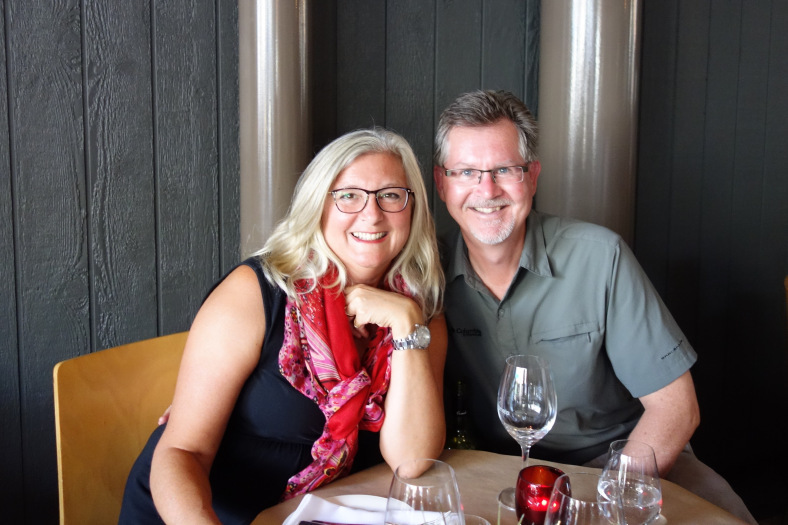 We eat varieties of snapper, perch, cod, bass, dory, flathead, salmon, mahi mahi, and more, almost everywhere we go. At first we searched to find, and then carry around, our own Heinz ketchup to eat with the chips- but in recent years we have switched over to Aoli or mayonnaise as the preferred condiment for chips. And, in our humble opinion, wine goes with everything! 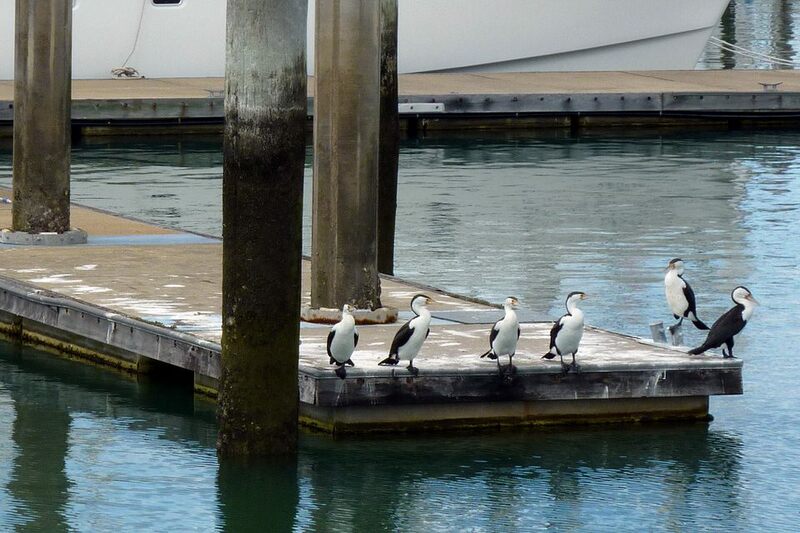 One can see all sorts of interesting things as you walk along the beach. 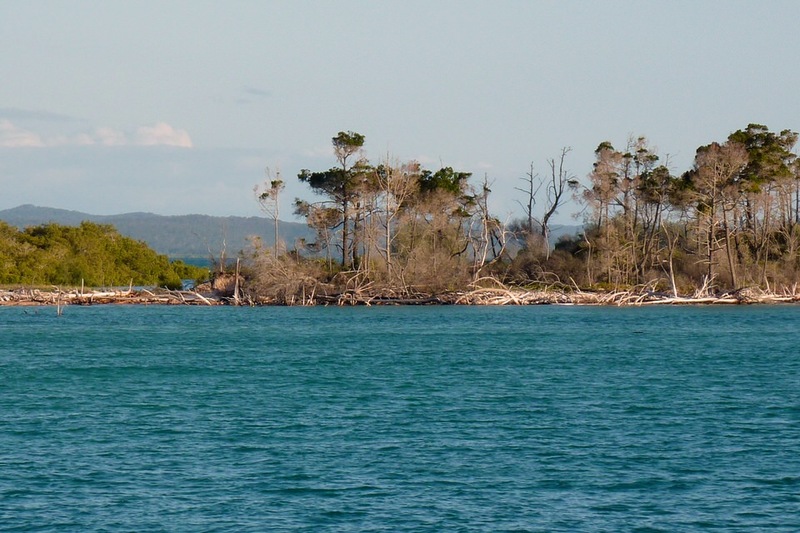 In the afternoon we set out to see the whales aboard the Whalesong. 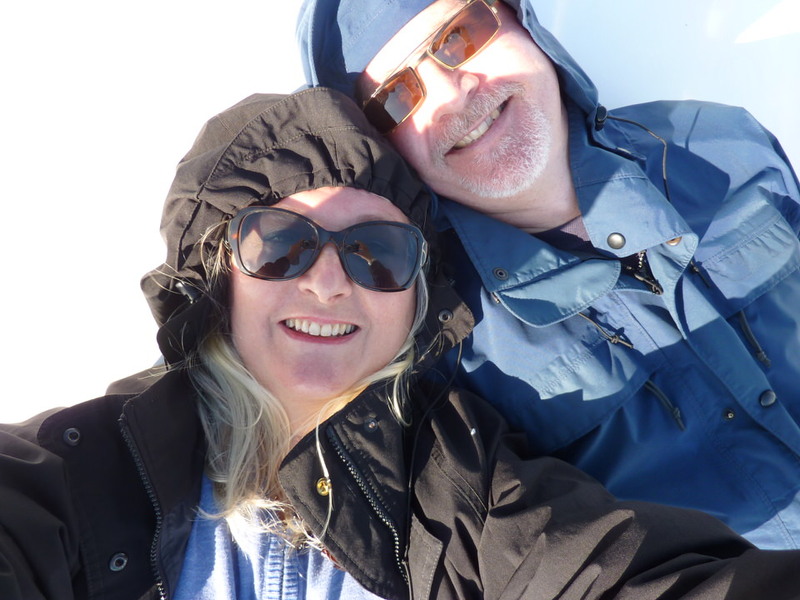 Springtime, and it can be chilly out on the water so we bring jackets. On our way back to Brisbane we stop here for one of the best breakfasts we have had. 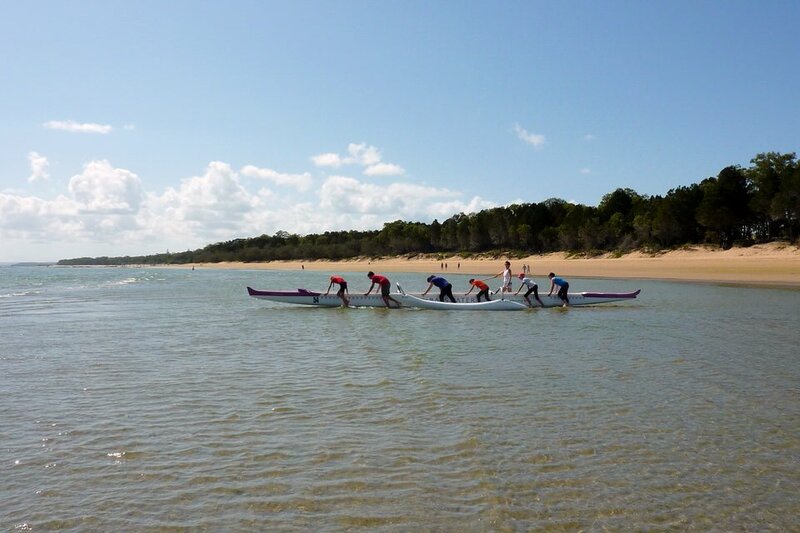 This entry was posted in Along the Coastline and tagged cormorants, fish and chips, hervey bay, pelican, salty squid, whale watching, Whalesong. Bookmark the permalink. Such a beautiful country. Enjoyed the photos. 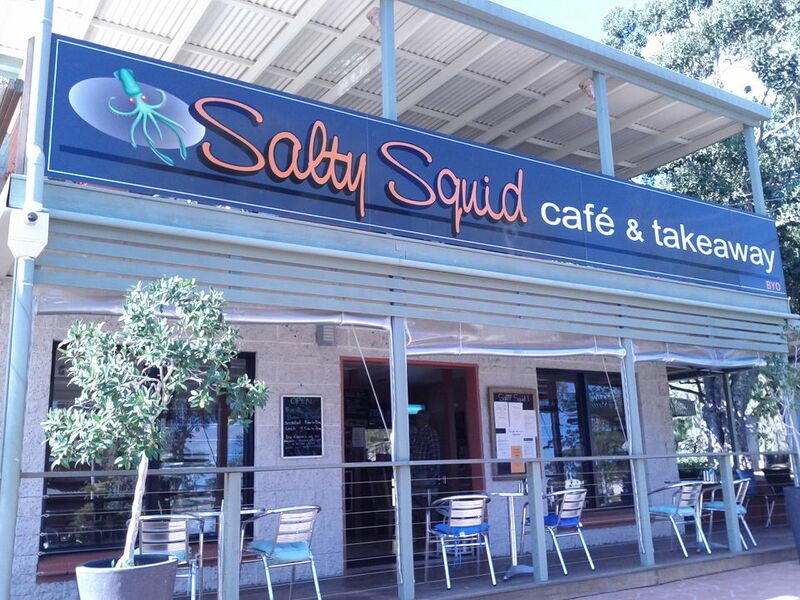 The Salty Squid looks like my kind of sub tropical cafe. Thanks, David. I’m sure that you would enjoy it here. They have the most fabulous kinds of places tucked away in all the nooks and crannies of Australia.